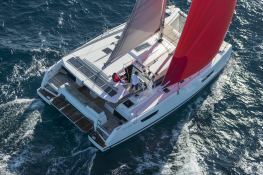 This catamaran Astrea 42 available in Guadeloupe from the Marina Bas du Fort in Pointe a Pitre has airy lines and exceptional comfort. 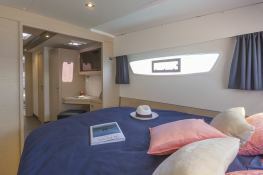 She will provide you an easy navigation to discover the Caribbean. 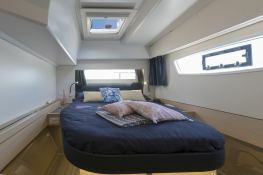 The Astrea 42 Fountaine Pajot is able to accommodate up to 10 passengers in its 4 double cabins with en-suite bathrooms. 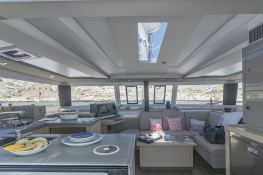 In addition, sunbathing on the front deck or on the coachroof are privileged places to enjoy the Caribbean sun. 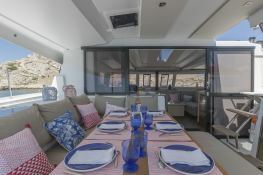 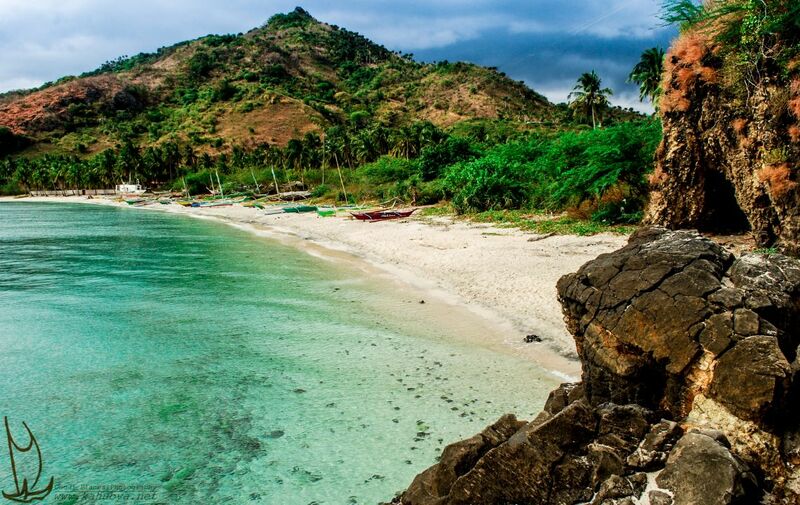 A catamaran rental will allow you to sail to Marie Galante and its white sand beaches, the Cousteau reserve and all the small islands around. 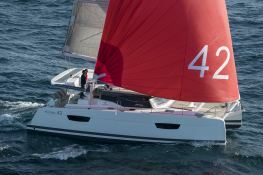 Navigating in Guadeloupe with this Astrea 42 will give you access to all the beauties of the archipelago such as St. Francis, St. Anne, Basse Terre and Petite Terre. 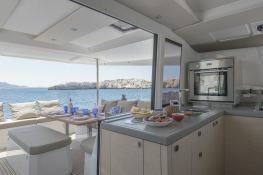 In the opinion of the first customers, this catamaran is very easy to handle and will give you all satisfaction. 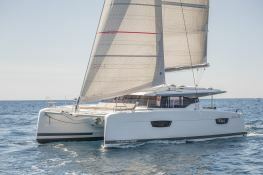 This catamaran is available for yacht charter with a base price of 3 900 € (approximatly 4 398 $).